Overall revenues at Publicis Groupe fell 0.4 per cent to €9.69bn (£6.98bn, $11.86bn) last year, but the firm achieved a standout performance in the UK and a strong second half in North America. Last year saw net profit hit €862m and the company reported an operating margin of €1.67bn, while it said that organically, it grew the business by 0.8 per cent despite the overall dip. Currency fluctuations hit much of Publicis's growth potential, but as well as reporting 5.5 per cent organic growth in the UK, the business fared well in Italy (up four per cent) and its French homeland (1.1 per cent). Full-year organic growth for North America was a modest 0.5 per cent, while overall revenues dropped 0.9 per cent. After a slow start to the year, organic growth was three per cent in Q3 and 4.4 per cent in Q4. Germany suffered a 6.9 per cent drop, which the group attributed to a "difficult advertising market". European revenue was down 0.1 per cent to €2.76bn and the biggest fall hit Publicis's Asia Pacific business, where it suffered a 2.3 per cent decline to €1.06bn. Its strongest growth was in Latin America, where 2017 revenues were up 6.6 per cent to €389m, while Middle East and Africa bolstered revenues by 3.1 per cent. Analysts at Liberum said that Publicis's Q4 organic growth was broadly in line with expectations", while it noted the "acceleration of growth in North America in Q4". For the fourth quarter of 2017, revenues again fell (by 3.1 per cent), to €2.58m, a figure that marked an organic increase of 2.2 per cent and growth at constant exchange rates of 2.7 per cent. The company named-checked a number of client wins in its results, including Procter & Gamble UK, Lionsgate, Southwest Airlines, L'Oréal, McDonald's and Carrefour. The group also singled out its most senior new appointee — group chief creative officer Nick Law. Few specifics are given about the firm's PR businesses, other than references to MSLGroup launching in Australia, Publicis Health's acquisition of good cause and social issues specialist PlowShare, and the mention for Genedigi, the Chinese agency it acquired in 2011 and is now on the brink of selling. 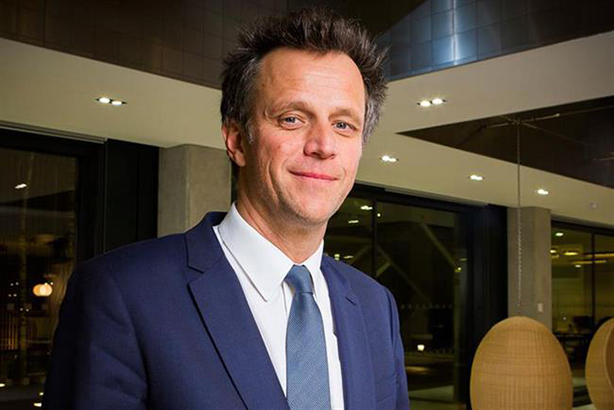 Arthur Sadoun, Publicis Groupe's chairman and chief executive, said: "Despite a generally difficult context and the group being in the midst of its own transformation, the quality of our results demonstrates Publicis Groupe’s strength and our ability to adapt to the deep changes affecting our industry. The group is stronger than it was a year ago."